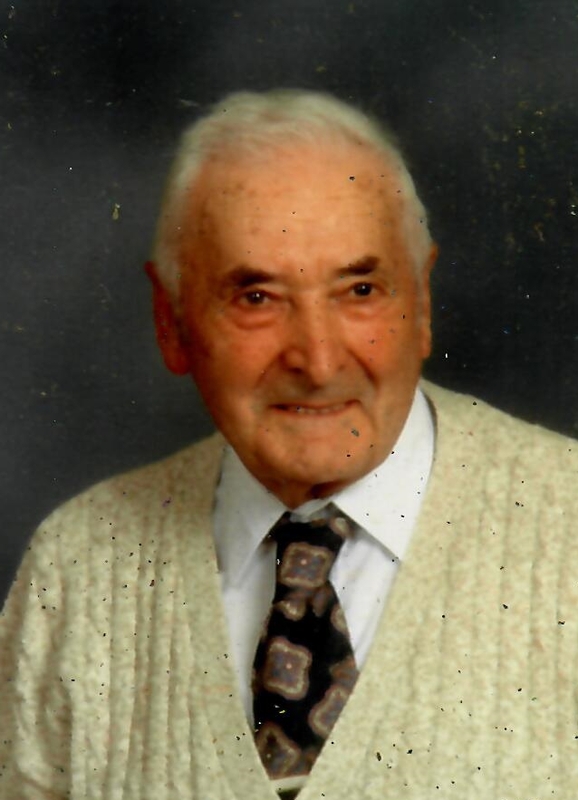 John J. Hadamuscin, age 101, former Shelby resident, died Wednesday, March 20, 2019 at OhioHealth Mansfield Hospital. John was born June 9, 1917 in Ontario, Ohio the son of the late John and Eva (Kurry) Hadamuscin. At the age of 12 he went to work at the B&O Railroad to help support his mom and four sisters as his father had died in a house fire in Crestline, Ohio when he was 9 years old. In 1950, John bought a 600-acre farm in Willard, Ohio where he raised many different animals. He had a green thumb and could grow anything. Until the age of 94, John maintained a huge garden-canning or freezing everything, he had grown. John was also a great fisherman. If he could have fished every day, he would have been very happy. John was a hard worker having owned Hadamuscin Sanitation that served 5 towns for 15 years and at the same time worked at Shelby Standard Tube Company. He was a member of First Lutheran Church in Shelby. He is survived by a son: Joseph (Dot) Hadamuscin of Florida; Step children: Pauline (Derlin) Kegley of Shelby, Ruby (Bob) Sutter of Mansfield; Daughter-in-law: Joyce Hadamuscin of Willard; Step daughter-in-law: Faye Adkins of Mansfield; Several grandchildren, great grandchildren and great great grandchildren. John was preceded in death by his 1st wife: Clara Wynn Henry Hadamuscin; 2nd wife: Vell Carter Adkins Hadamuscin; 2 sons: Larry Hadamuscin and John Hadamuscin; Daughter: Betty Lou Bentley; 4 sisters: Francis Hadamuscin, Florence McCheron, Etta Brown, Minnie Welch; infant granddaughter: Linda Kay Adkins; Grandson: Gregory Alan Patrick; Step daughter: Mildred Stamper; Step son: Johnny Adkins; Step son-in-law: Hamilton “Brownie” Patrick; and John’s companion: Glenna Cheeseman. I am so sorry to hear about your grandpa. He was a great man. My prayers are with you and your family. So sorry to hear of the passing of John, My prayers are with all the family, Remember all the good times and he will never be forgotten..
RIP JOHN. You are now at peace. You will be missed by family and friends. But you are with many family and friends in Heaven. No more pain or tears only love. God be with the family and friends you leave behind. I will miss you Grandpa! You were such a light. What a great sense of humor you had and such energy for so long. You were loved by so many. May you rest in peace. Catherine, Scott, Brandon and Lauren Dalzell. My condolences to the entire family of John Hadamuscin. I’m a STNA of Liberty Nursing Home. It was a pleasure taking care of him. He will be truly miss by us all. My Condolences to the entire family of John Hadamuscin !! what a great man inside and out!! We always looked forward to his popsicles every year at our family reunion !! 🙁 …..He will be greatly missed !! My condolences to the entire family of John Hadamuscin !! He will be sadly missed :(….. We looked forward to his popsicles every year at our family reunion !! What a great man inside and out!! My thoughts and prayers are with you all. John was a great man and Heaven just received another angel. I am so glad to have known him. He was a blessing to many. Dear Joyce and family! You have our deepest sympathy on the death of your Father-In-Law!